Hello, 911? There’s been a shooting…. Yes, a mass shooting. How many? I see 3 but there might be more. Yes, right here in my living room. Ohhh, wait a minute. 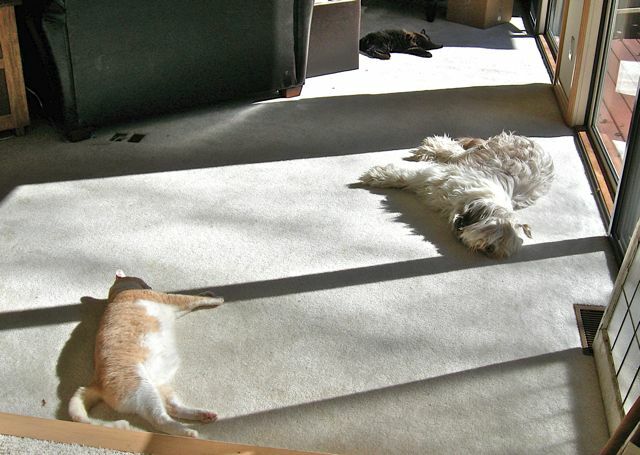 Somebody slipped something into the water… It must be nap time at the menagerie. If only Tot would participate!!! 2 comments to Hello, 911? There’s been a shooting…. woooooooooooo Hoooooooooo. Tot to the rescue. LOL!!! the torti in the background looks like ours! !